Coordinator of the SCENT (School of Entrepreneurship) Research Group at Department of Industrial Engineering. He currently supervises one post doc student (Ali Raza) and one PhD students (Francesco Ferrati). One grant owner (Edoardo degli Innocenti) One external collaborator (Michael Sheriff). 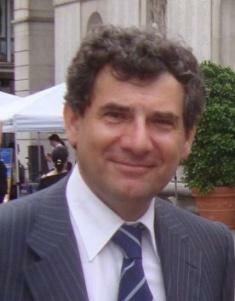 Team Leader of the Global Entrepreneurship Monitor Italy (2012 - 2016). The Global Entrepreneurship Monitor is the most globally diffused research on new ventures and entrepreneurship with more than 70 countries involved. Emergent and early stage entrepreneurship. Innovative and technology based start-ups. Entrepreneurial ecosystems and the role of universities in the development of entrepreneurship. Muffatto M., Sheriff M. (2017) “High-tech entrepreneurial ecosystems: a complex adaptive systems framework”, International Journal of Entrepreneurship and Innovation Management. Sheriff, M., Muffatto M., Cooper, S. (2016) “Measuring entrepreneurship environments in Africa: Challenges in using international reports”, International Journal of Entrepreneurship and Innovation Management, Volume 20, Issue 1-2, Pages 20-44. Yousafzai, S., Saeed, S., Muffatto, M., (2015). “Institutional Theory and Contextual Embeddedness of Women's Entrepreneurial Leadership: Evidence from 92 Countries”, Journal of Small Business Management, Volume 53, Issue 3, pages 587–604. Saeed, S., Yousafzai, S., Yani-de-Soriano, M., and Muffatto, M. (2015). “The Role of Perceived University Support in the Formation of Students' Entrepreneurial Intention”, Journal of Small Business Management, Vol. 53 (4), 1127–1145. Sheriff, M., Muffatto, M., (2015) "The present state of entrepreneurship ecosystems in selected countries in Africa”, African Journal of Economic and Management Studies, ISSN: 20140-0705 , Vol. 6 Issue: 1, pp.17–54. Saeed, S., Yousafzai, S., Yani-de-Soriano, M., and Muffatto, M. (2014). “The Role of Perceived University Support in the Formation of Students' Entrepreneurial Intention”, Journal of Small Business Management 53 (4), pp. 1127-1145. Saeed, S., Muffatto, M., and Yousafzai, S. (2014). “A Multi-level Study of Entrepreneurship Education among Pakistani University Students”, Entrepreneurship Research Journal. Muffatto, M. and Saaed, S. (2014). “Editorial: Young and Innovative Entrepreneurship”. International Journal of Entrepreneurship and Innovation Management (forthcoming). Saeed, S., Yousafzai, S., Yani-de-Soriano, M., and Muffatto, M. (2014). “The Role of Perceived University Support in the Formation of Students' Entrepreneurial Intention”, Journal of Small Business Management (forthcoming). Saeed, S., Muffatto, M., and Yousafzai, S. (2014). “A Multi-level Study of Entrepreneurship Education among Pakistani University Students”, Entrepreneurship Research Journal (forthcoming). Saaed, S., Muffatto, M. and Yousafzai, S. (2014). “Exploring inter-generational influence on entrepreneurial intention: the mediating role of perceived desirability and perceived feasibility”. International Journal of Entrepreneurship and Innovation Management (forthcoming). Michael Sheriff, Moreno Muffatto, "Reviewing existing policies for unleashing and fostering entrepreneurship in selected African countries", Journal of Developmental Entrepreneurship (accepted). Saaed, S., Muffatto, M. and Yousafzai, S. (2013) “A Multi-Level Study On Entrepreneurship Education Among Pakistani University Students”, 5th South Asian International Conference, CIIT, Pakistan (4th – 6th December). Saeed, S., and Muffatto, M. (2013) “Entrepreneurial Role Of University In The Formation Of Entrepreneurial Intention: A Multi-Level Perspective”, Entrepreneurship, innovation and the engine of growth, RSA AiIG, Milan, Italy (17-18 October).